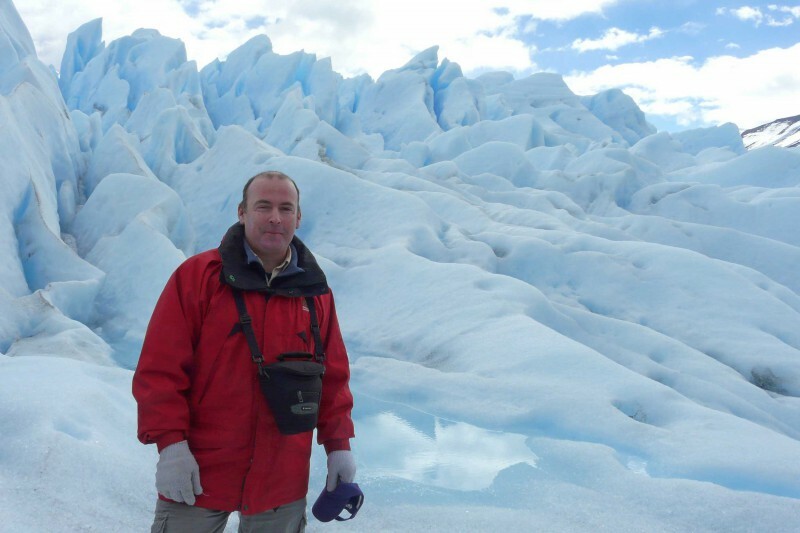 This is a well-paced itinerary, combining exceptional locations which showcase some of South America’s most iconic wildlife. Visit Caraca Natural Park where the maned wolf is a nightly visitor; explore the southern Amazon with a bird list of over 600 species and abundant primates from the comfort of Cristalino Jungle Lodge; venture deep in to the northern Pantanal where sightings of jaguars are almost guaranteed; and search for ocelots and giant anteaters in the southern Pantanal. 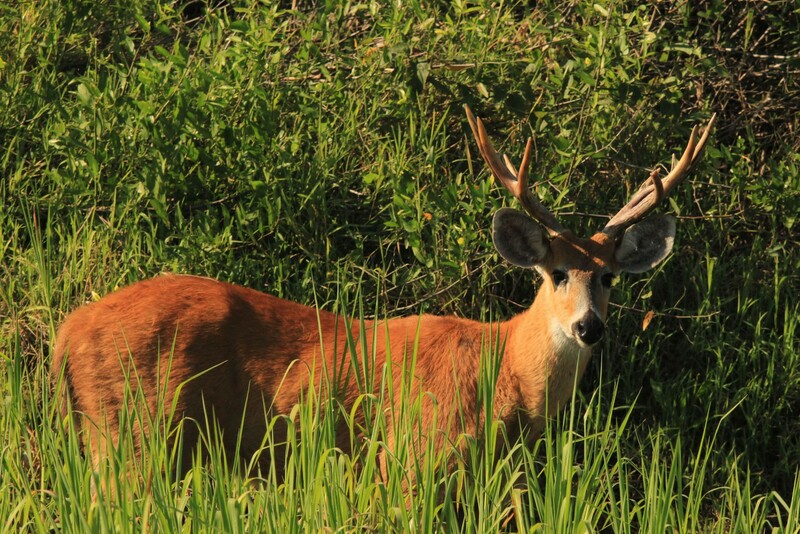 This is an intense itinerary for the serious wildlife enthusiast who desires deep immersion in the two most wildlife-prolific wildernesses in the entire New World. 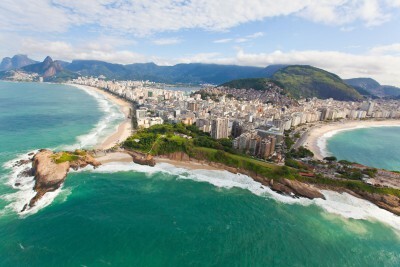 Depart London and fly overnight to Brazil. Airport assistance in Sao Paulo to connect with flight to Belo Horizonte. 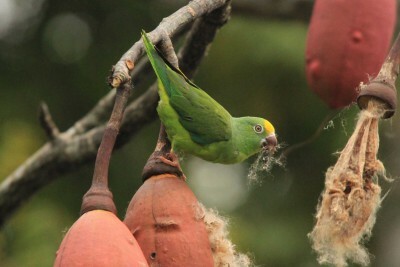 Met on arrival and transfer to Caraca Natural Park. 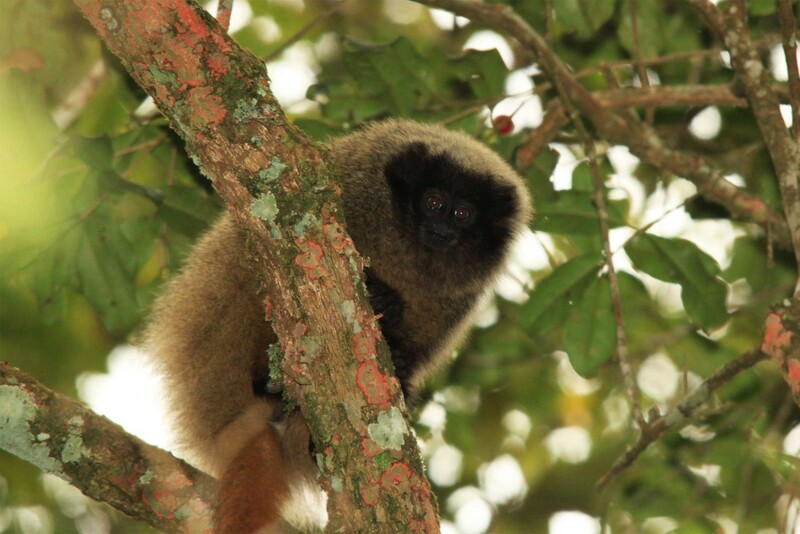 Spend the afternoon exploring some of the trails around the private reserve in search of wildlife such as masked titi monkey and many endemic birds. 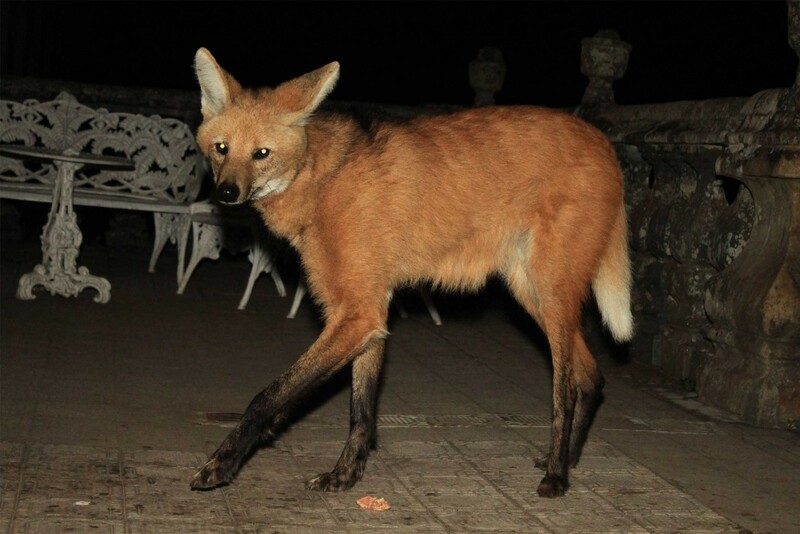 After dinner, watch wild maned wolves coming to feed on the monastery terrace. Staying at Santuario do Caraca. Includes Lunch and Dinner. Morning to explore trails in search of masked titi monkeys, black tufted-ear marmosets, various birds and other wildlife. The habitat at Caraca is a natural eco-zone between the Atlantic rainforest and cerrado biomes and is thus home to a diverse range of overlapping flora and fauna. 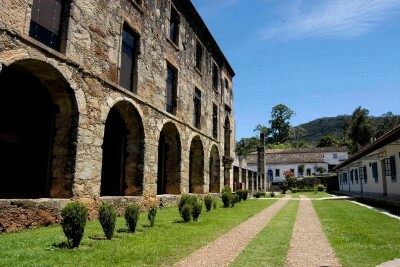 Time to rest during the middle of day and explore the fascinating history of the monastery, the Caraca museum and gardens. Relax or explore some different trails in the afternoon. Evening spent maned wolf watching. Staying at Santuario do Caraca. Includes All Meals. Return to Belo Horizonte and fly to Cuiaba. Connect with flight to Alta Floresta. Met on arrival and transfer by road and boat to the lodge in the southern Amazon. Staying at Cristalino Jungle Lodge. Includes Breakfast and Dinner. Guided small group activities including boat trips along the Cristalino River in search of wildlife and hikes along forest trails. 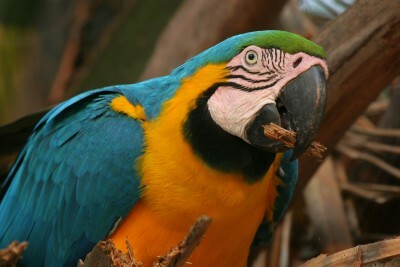 Cristalino’s private rainforest reserve is one the best birdwatching sites in the world with over 600 species recorded. 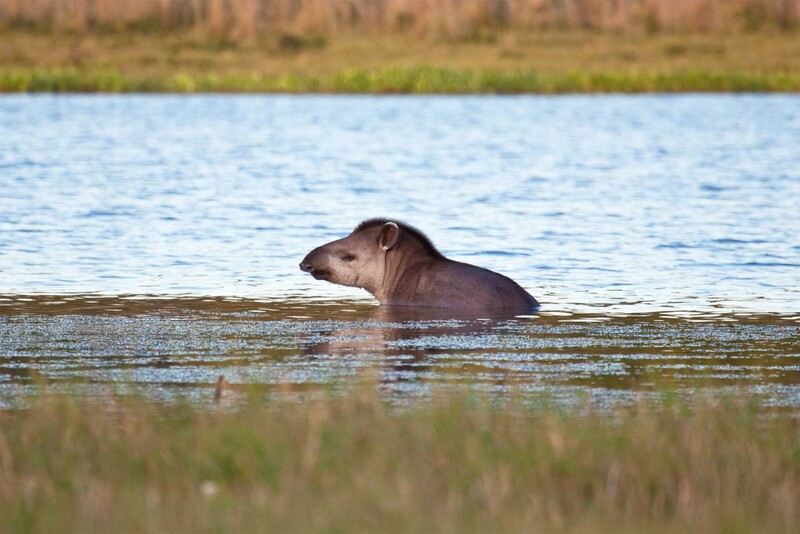 The primary Amazonian forest is in a near-pristine state and there are regular sightings of primates, tapirs, peccaries, caiman, and many more including jaguars which have been spotted by us on the river bank. Staying at Cristalino Jungle Lodge. Includes All Meals. Guided small group activities. Maybe climb the 50-metre high canopy towers for sensational views over the canopy. Transfer by boat and road to Alta Floresta. Fly to Cuiaba. 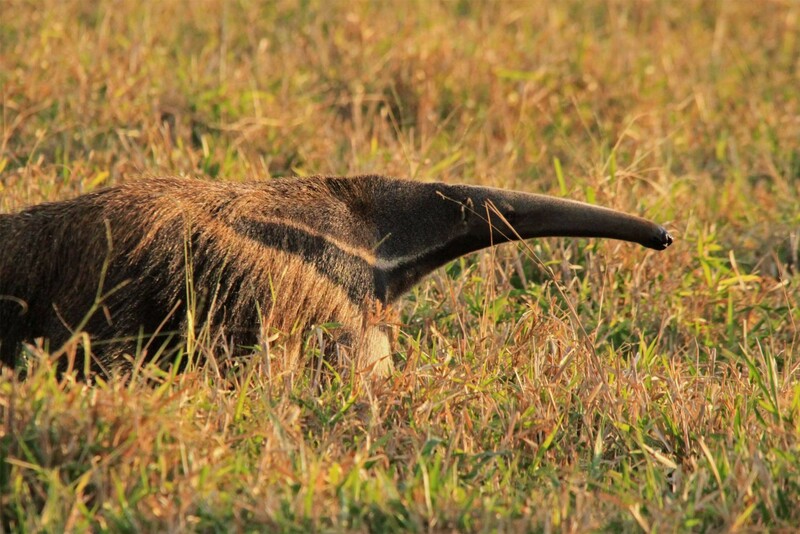 Met on arrival and transfer to lodge on the Transpantaneira Highway, spotting wildlife en route. Staying at Pouso Alegre Lodge. Includes All Meals. 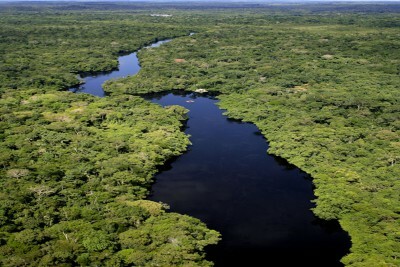 Transfer southwards downs the Transpantaneira to the Cuiaba River. Afternoon jaguar spotting by boat. 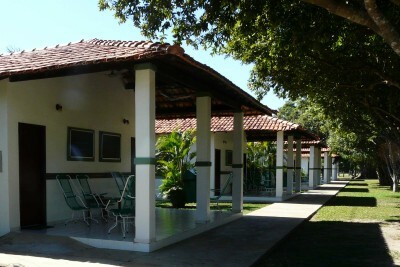 Staying at Hotel Pantanal Norte. Includes All Meals. 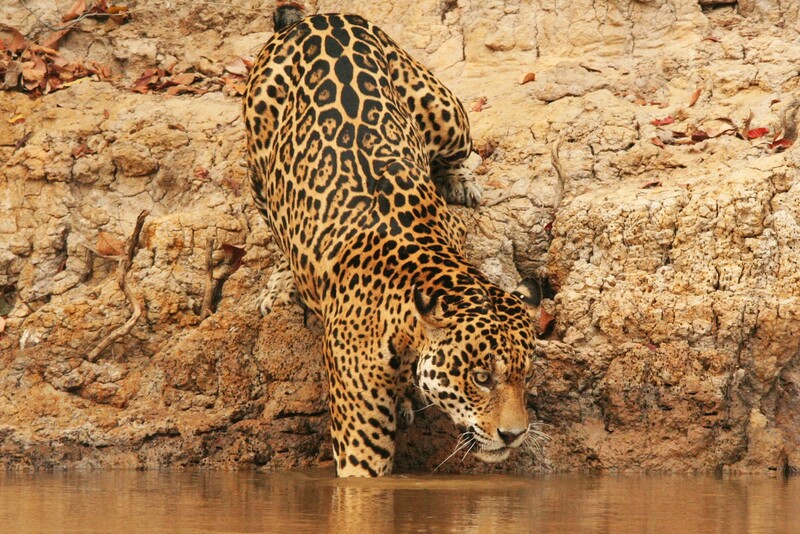 The Cuiaba River and its tributaries are the best place in the world for jaguar sightings. Here there is a high density of the cats which spend the heat of the day by the river where they come to drink and wait for prey on the shaded banks and beaches. Sightings of these majestic cats often involve prolonged viewing and sometimes rarely-seen behaviour such as mating, swimming and hunting. 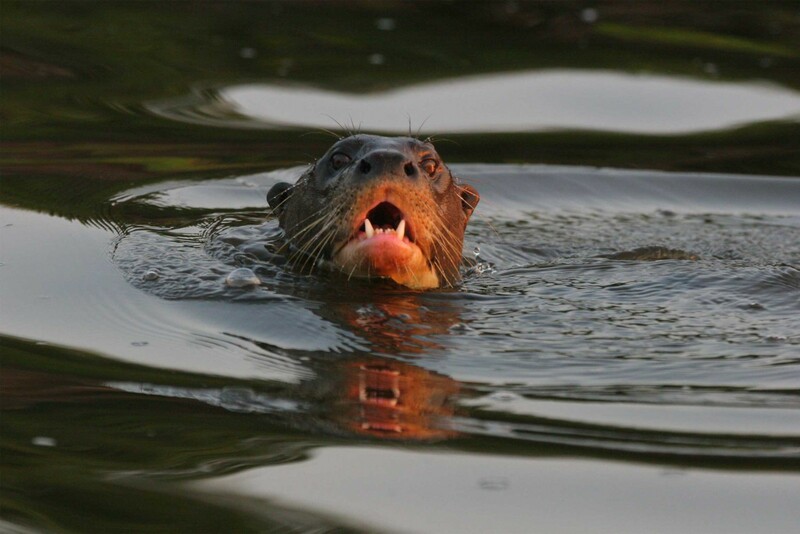 Spend the day exploring by boat and spotting jaguars, giant otters and plenty of other wildlife which inhabits the wonderful Pantanal. 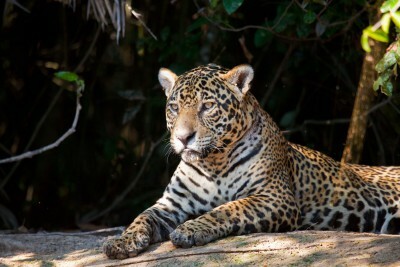 Spend the day jaguar spotting along the Cuiaba River and its tributaries. Return to your previous lodge on the Transpantaneira Highway. Afternoon for guided excursions. 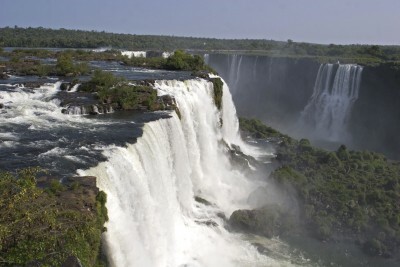 Transfer to Cuiaba and fly to Campo Grande. 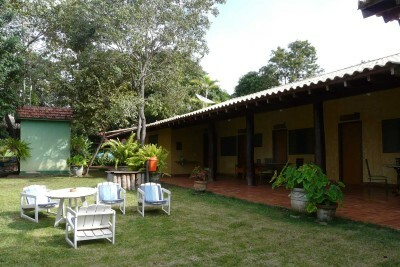 Met on arrival and transfer to a ranch in the southern Pantanal. 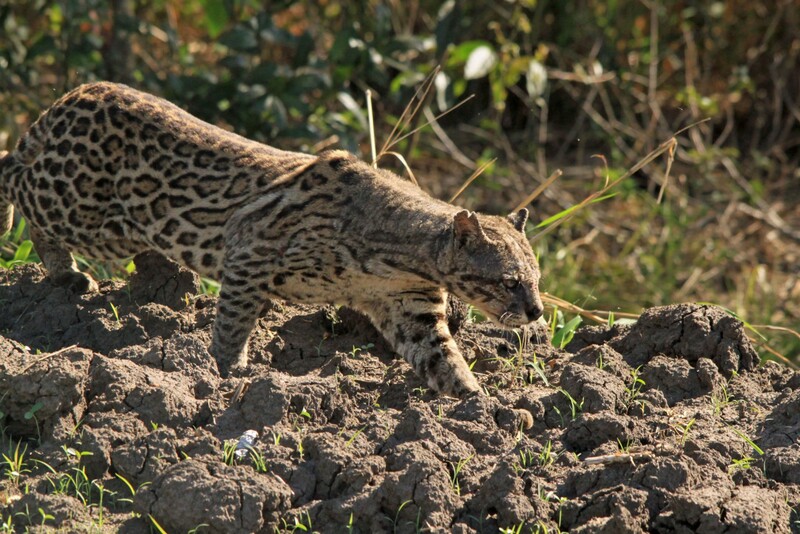 Evening night drive with a great chance of seeing ocelots hunting rodents that are active in the wetlands at night: night drives offer the best chance in the world of seeing this elusive predator, about the size of a large dog with beautiful markings. Staying at Fazenda San Francisco. Includes All Meals. Day of guided activities around the ranch, which can include 4x4 safaris, catamaran boat trips and guided horseback riding. 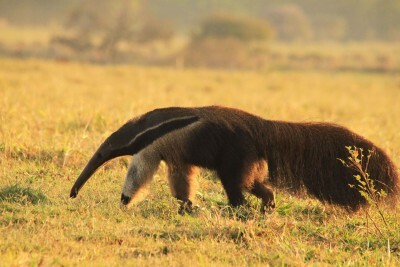 The wildlife viewing is excellent with notably high numbers of giant anteaters feeding on the dry savannah close to the entrance track into the lodge. 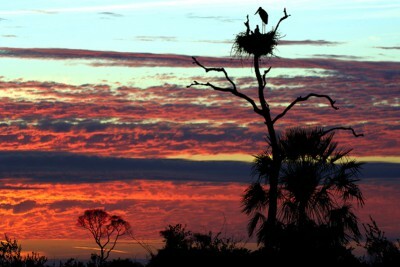 After supper, go out on an evening spotlight game drive. Day of guided activities and later a spotlight night drive. Early morning activity then transfer to Campo Grande. Fly to Sao Paulo and connect for overnight flight back to the UK. Fly from London direct to Sao Paulo on British Airways or TAM. Flights are also available on TAP via Lisbon, Iberia via Madrid, and KLM via Amsterdam. 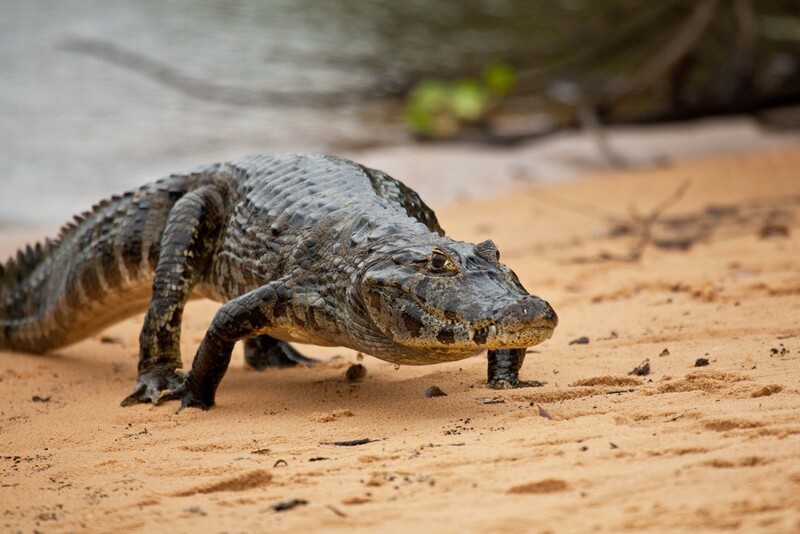 Upgrade to have a private guide at Cristalino Jungle Lodge. At the end of the trip add a stay at Uakari Floating Lodge to see river dolphins and primates deep in the flooded Amazonian forest, or visit the biodiverse and endemic hotspot of the Atlantic rainforest for stunning birdlife, amphibians, and an opportunity to track the endangered Muriqui, or golden lion tamarin. Other options are: a few nights in Praia do Rosa in the far south for close encounters with southern right whales; the beaches of Bahia; the islands of Ilha Grande or the exclusive Fernando de Noronha, famed throughout Brazil for its snorkelling and diving – our director dived with dolphins there. 3 jaguars!! on two separate days. On the first sightings, guide driver and self sat in the boat from 12.35 till 6am watching Geoff [the jaguar] and his sister Estelle. On the second, two days later, I was able to sit on the opposite bank with my tripod and got perfectly steady film.